The financial industry is dependent on mobile workers who meet with clients in the field, oftentimes crossing state lines to do so. This can create challenges for those workers who remain at the office but must keep in touch with those workers who do not. When Tarlov Financial Group needed to better connect mobile management with non-mobile support staff, they turned to Star2Star. 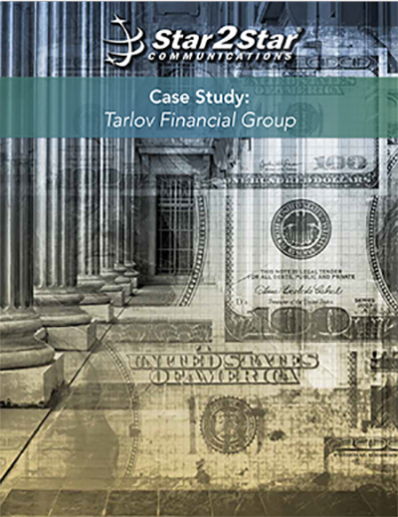 Read more to discover how Star2Star was able to upgrade Tarlov Financial Group’s communications and help the firm better support its mobile operatives.